With only a dozen or two homes on the block, Lill Avenue is almost as short as its name. Lill Avenue is one block long, extending from College Street to Wallace Avenue, and ending near the southwest corner of the Crystal Lake Central High School property. Lill Avenue is situated in a small subdivision called “Rose’s East View Addition.” The subdivision was created in the 1920s when John J. Rose divided up his farmland and started selling it off – parcel by parcel. John J. Rose had only lived on this land for about ten years when he decided to subdivide the property. His house was located on McHenry Avenue, across from Immanuel Lutheran Church. Rose actually owned several homes on McHenry Avenue, and may have lived in different structures at different times. For additional information on John J. Rose, see the Street Scenes article for Rosedale Avenue. John J. Rose named Lill Avenue after his youngest daughter, Lillian Rose. 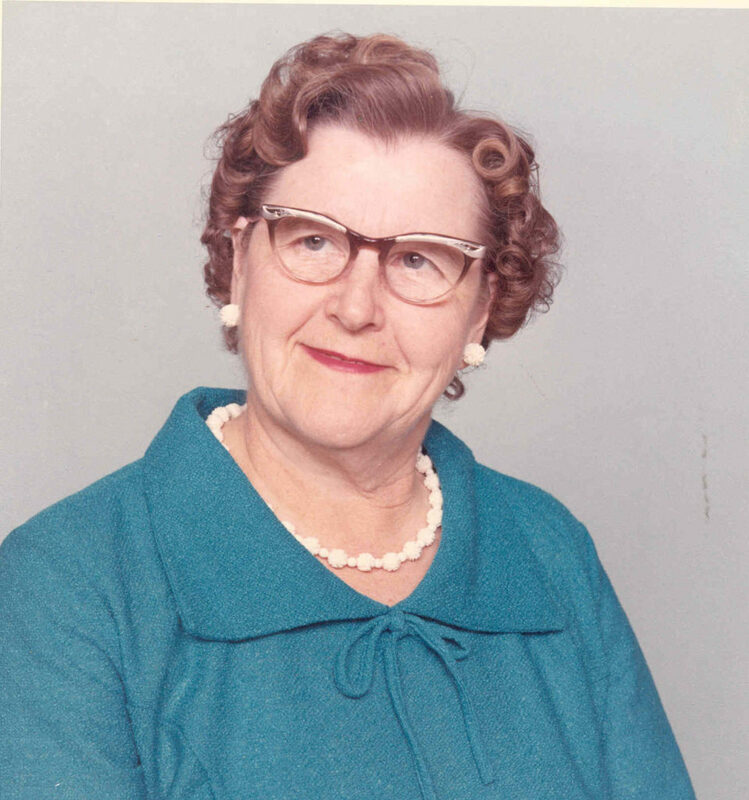 Lillian was born December 19, 1910 in Crystal Lake. She grew up in Crystal Lake, attending the local schools. As a young woman, Lill worked as a stenographer for the Simon Saw Company of Chicago. On January 23, 1937, Lill married William Geske in a pretty church wedding held at Immanuel Lutheran Church. After they were married, the young couple first lived on Lake Shore Drive in Crystal Lake. A few years later, they moved to the Bay View Beach area, just east of Crystal Lake. Lill and William Geske had two children, Doris and David. In 1949, tragedy struck the young family when Doris (age 8) and David (age 6) were wading in the Fox River. Doris stepped into a hole, and the water came up over her head. Lill rushed into the water to grab hold of each child; but somehow she lost her grip on Doris. Despite valiant efforts to resuscitate her, Doris’s young life ended, and her mother’s life was forever changed. Doris, William, and Lill Geske are all buried at Union Cemetery. Also buried near them are other members of their family, including Lill’s parents, John J. and Emma Rose. Special thanks to David & Sharyn Geske for providing family information and photos relating to the Rose and Geske families.